Full Description: From the Ruth Askew Collection. 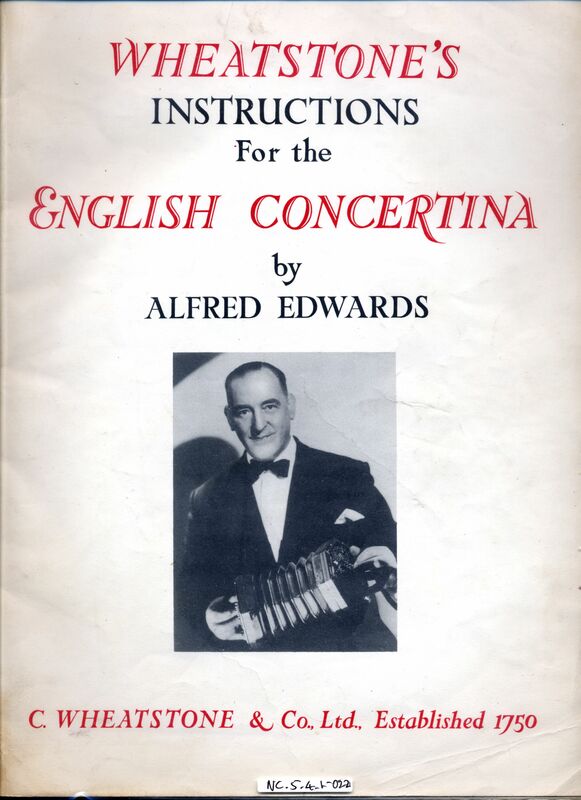 � 'English' Concertina Tutor: A soft-bound copy of "Wheatstone's Instructions for the English Concertina, by Alfred Edwards" This is� the 1st Edition, 1960, and is stamped "Current Price 10/1 net, Boosey and Hawkes Ltd" in ink. A hardbound library edition is at Item NC.5.4.1-021 in the Collection.